If you’re an online entrepreneur you must have wondered what are the countries with the fastest internet in the world. We all know that for digital nomads need for speed is priority #1, so here are the best in 2017. Whether you’re a serious location independent entrepreneur, running a local business, or just a casual surfer, slow internet is a real drag. 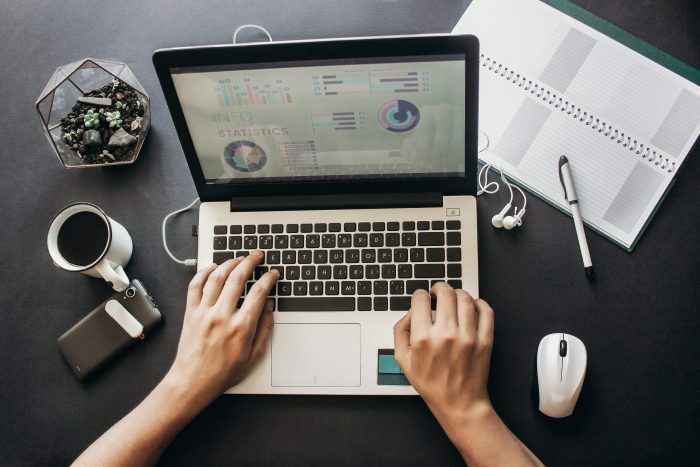 It’s bad for business, and in today’s connected world, it can cause a lot of stress in all areas of your life. Being a Nomad Capitalist means going where you’re treated best, but along the way, this does not always mean your internet will reach the standards you need to do business in an enjoyable manner. Especially for those who are operating businesses that rely on fast speeds for Skype calls, uploading video, transferring large files, etc. — fast internet can mean the difference in hours of productivity and thus thousands of dollars in sales. As a perpetual traveler, I occasionally get stuck in a hotel with poor internet speeds, causing me great frustration. I can recall quite a few times being in Eastern Europe or parts of Southeast Asia and I’m either getting ready to purchase something online, or make a Skype call to finish some important work with a client, and right in the middle, the connection cuts out, and so does my productivity and sense of calm. If you are like me, you simply cannot allow yourself to be staying in hotels, Airbnbs, or relying on public cafés or airports that do not stay up to speed if you need to get serious work done. I do not even allow my Remote Team to even consider being based in a place where they can not have a reliable connection non-stop. We have all been in that situation where we finally get settled in our hotel room and the wifi does not work, or constantly cuts out, or even if it’s offered, it’s slow and virtually unusable to reach any kind of workflow. However, internet around the world is typically much better than you think — and, believe it or not, even emerging countries have some of the fastest internet speeds. In fact, the countries with the best wifi are often outside of the western world. No longer are the ‘old world’, high-tax countries of the west the leaders in many areas… and that includes tech. While Americans often make fun of other countries for their allegedly poor services, the United States does not rank as the #1 on this list, nor even in the top ten. Asia and Eastern Europe have long held strong positions in these studies; while Romania no longer cracks the top ten average speeds, you’d be hard-pressed to find bad wifi in the smaller towns let alone Bucharest. Even cheap Airbnbs in Romania often offer 100Mb/s speeds. According to Akamai, the global average for download speeds is 7.2 Mbps, an increase of 15% in the past year. Certainly not great considering that I have 100Mb/s fiber internet in my home in Georgia or that the airport lounge in Seoul has wifi so fast you can download an HD movie in several minutes. The good news is speeds are improving. South Korea ranks at number one for the location with the fastest average internet. The country still boasts speeds up to 65% faster than the United States. South Korea is also one of the most aggressive countries in targeting gigabit speeds for its internet users. Nevertheless, Freedom House suggests that, despite these high speeds, internet users are not completely free when surfing in South Korea. The organization has reported that bloggers have been arrested as internet freedom in general declines worldwide. South Korea is one of the success stories of Asian economic growth over the last generation and the country is very pro-business and technologically advanced. 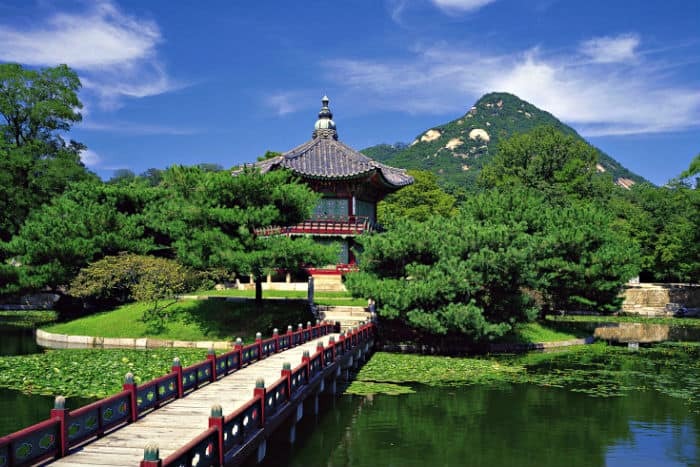 Seoul is one of Asia’s foremost cities and a favorite of many travelers. 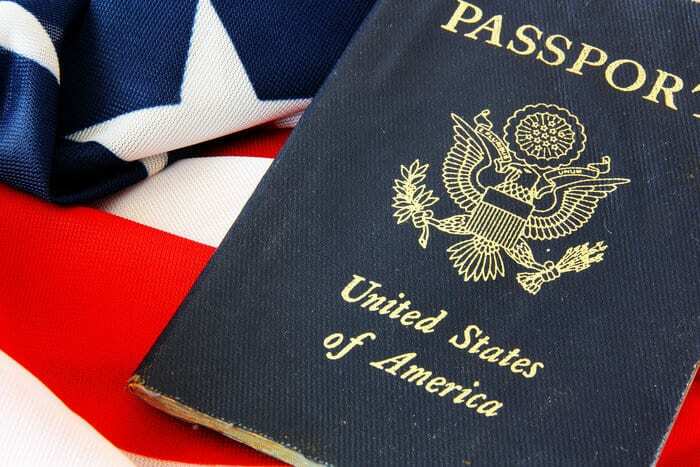 We have talked before about the option of residency or second citizenship and South Korea which you can learn more about here. Regardless, traveling in this country will be very easy on the internet front. Norway, or ”path to North” in its original meaning is one of the wealthiest countries in the world and #1 European country when it comes to internet speed. Norway is number two of fastest average internet speed in the world. The country is consistently ranked as the most developed in the world and the internet will likely not disappoint. Norway is one of the few countries in the world with a budget surplus and moreover, the currency, the Norwegian kroner, is typically regarded as the safe haven currency in this regions thanks to Norway’s abundance of oil wealth. I often like to share the story of how I once spent seven months learning Norwegian in preparation for a fact-finding mission to Norway and the most important take away from the trip ended up being that I spent too much time focusing on the wrong things, as nearly everyone there spoke perfect English. Either way, the fast internet here will keep you able to communicate and run your business and life effectively. Like its neighbor Norway next door, Sweden also ranks in the top 5 on the list. 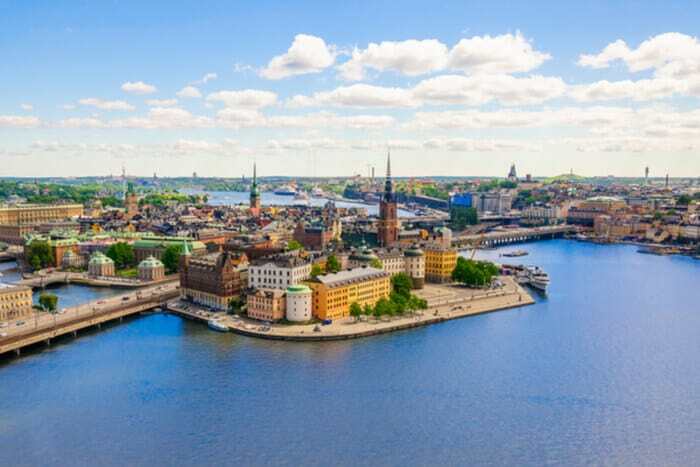 Sweden is also home to some of the best co-working spaces in Europe which pairs well with reliable and fast internet infrastructure and a generally educated, English-competent society. The Swedish passport was ranked #1 in our Nomad Passport Index as Swedish citizens can visit 176 countries without a visa, enjoy an excellent reputation abroad, hold dual or multiple citizenships, and enjoy high levels of personal freedom. Not only does Hong Kong have superfast internet internet, but they have it for $26 a month. Hong Kong is no slouch when it comes to providing top-notch services to its tech-savvy residents. That’s why it’s no surprise that the hyper-dense Special Administrative Region of China dominates the list of countries with the fastest internet speeds. In fact, it was the first country to break the 60Mbps speed barrier. Hong Kong is second in peak internet speed (the top speed accessible to internet users), trailing just behind Singapore and it is ranked #1 on or Quality of Life Index in 2017– high internet speed has certainly contributed to that fact. I can speak to the speed of Hong Kong’s internet myself—while traveling not long ago, I downloaded an entire hourlong TV episode from iTunes in just 86 seconds (yeah, I timed it). It’s all thanks to Hong Kong’s commitment to “Fiber To The Home” service, as well as companies’ use of aggressive high-speed internet pricing. 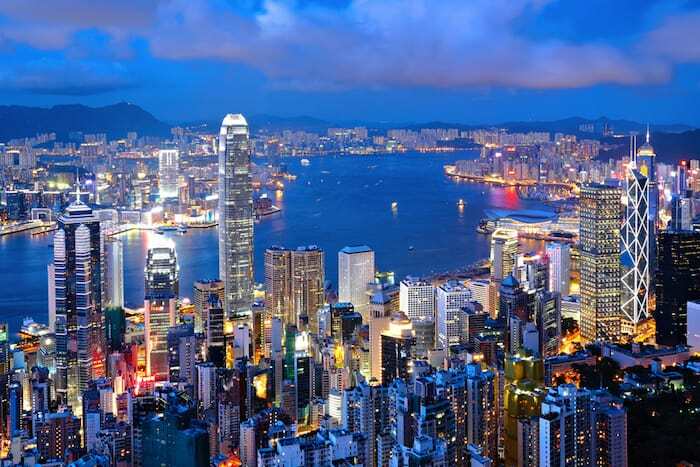 Like most Asian super-cities, Hong Kong will make it easy to connect to internet in most if not all public places and any hotels or apartments you are spending time in will likely enjoy high speeds as well. 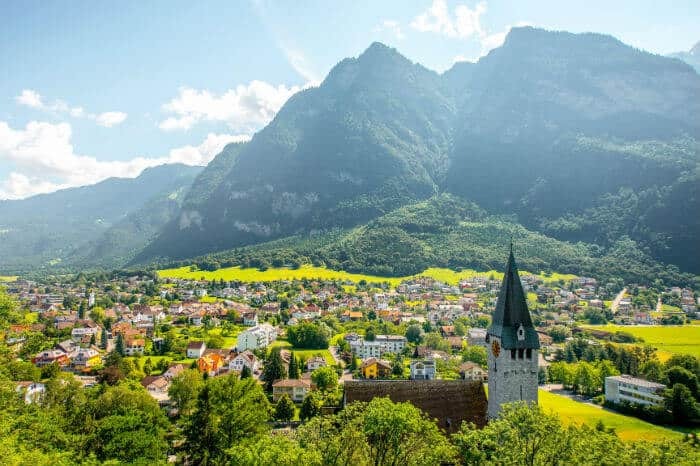 The famed hub of everything privacy, wealth, and safety, Switzerland also offers fast internet. If one of the best passports in the world, good banking, low taxes for intellectual property aren’t enough for you, Switzerland can also fulfill your technological needs and provide world-class infrastructure for business and wealth management. 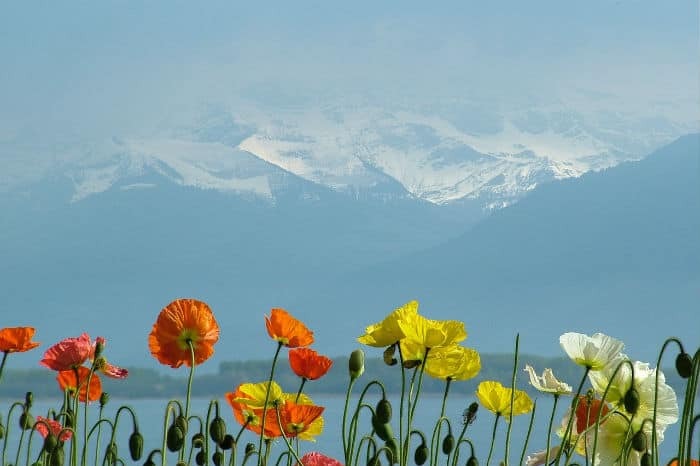 Some may find the very orderly and reserved society a bit ‘too sterile’ at times, but generally, Switzerland can be considered one of the most beautiful destinations in Europe and a place to aspire to travel to or potentially reside in for high-achieving entrepreneurs. In 2010, Finland has become the first country in the world to make broadband a legal right for every citizen. North European countries continue to rank highly across all countries with the fastest internet in 2017 with Finland coming in sixth. 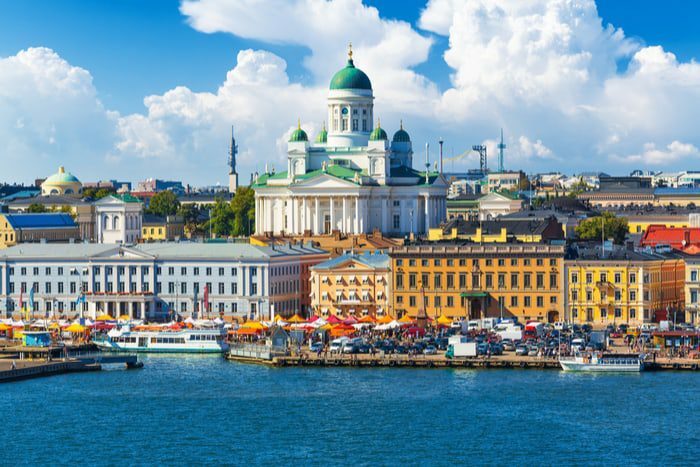 Finland has a distinctly different culture and language to the rest of its Scandinavian neighbors but ranks similarly in terms of key economic indicators and well-respected passports with extensive visa-free access. Finland is also highly rated as third in rule of law and and third in least corrupt, but also ranks among the highest tax rates in the world. Finland has a growing entrepreneurial community and hosts some of the best co-working spaces in Europe. Helsinki has more than once been on the top list of cities to live in and we believe more nomads will turn to it in upcoming years. 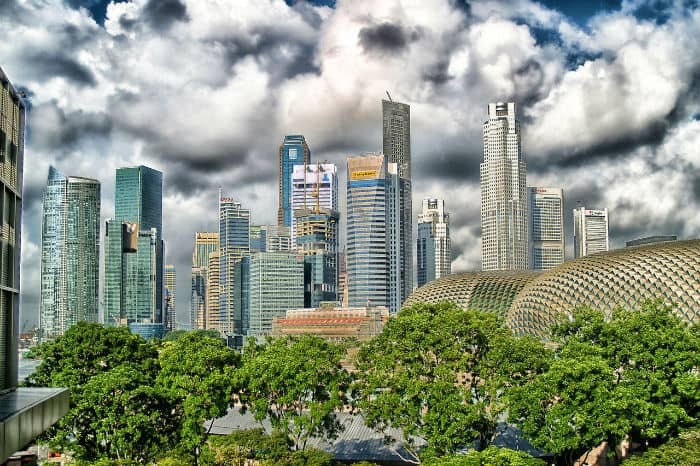 Singapore and Southeast Asia offer far more opportunities for entrepreneurs and being an international business hub, it makes sense the internet connection here is very fast. The highly advanced city-state of Singapore does many things well (including banking and general economic freedom) and fast interent speeds are among them. Singapore tops the list of the world’s fastest peak internet speed and is seventh on the global average list. 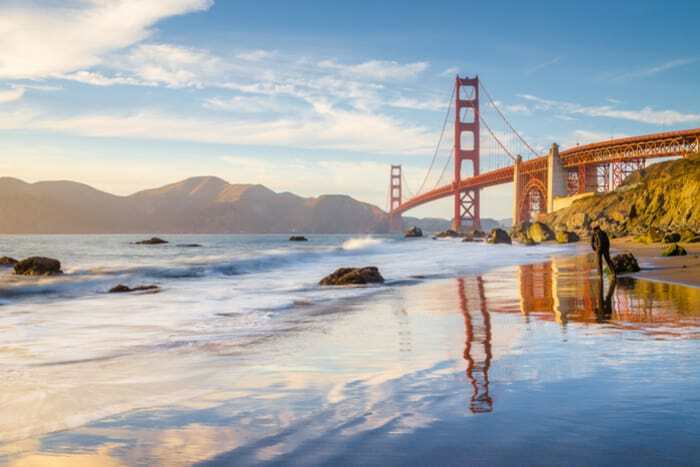 This tech-savvy, pro-business, and pro-expat place continues to be a favorite among entrepreneurs who want to live in a society that makes being successful and productive easy. 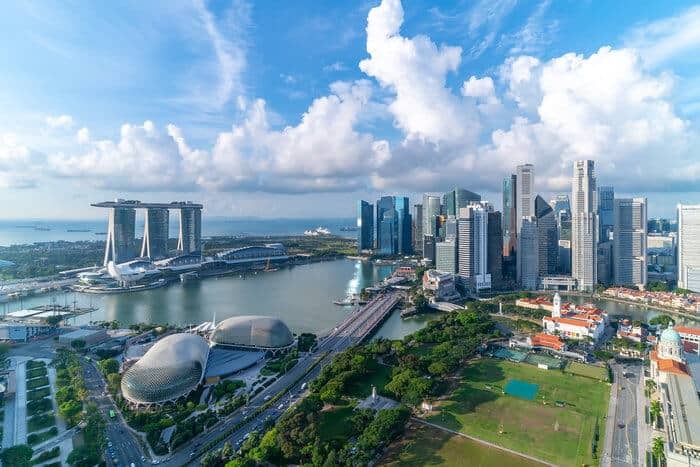 Singapore is also a great place to look for permanent residency and entrepreneurial investment, though the country does not allow dual citizenship. Fun fact: Japan is one of the countries that now recognizes Bitcoin as a method of payment, but still not as a currency. Would you expect any less from tech-savvy Japan? The speed of information access and precision in getting things done is built into the framework of Japanese society. High-speed fiber optics run throughout the country, enabling some of the world’s fastest internet speeds. Peak speeds in Japan are nearly triple the global average for internet users. But the country known for its human-like robots and other cutting-edge technology isn’t content with its current speeds — not by a long shot. Japan is one of the several countries working on 100Gbps internet using advanced “optical packet switching technology”. 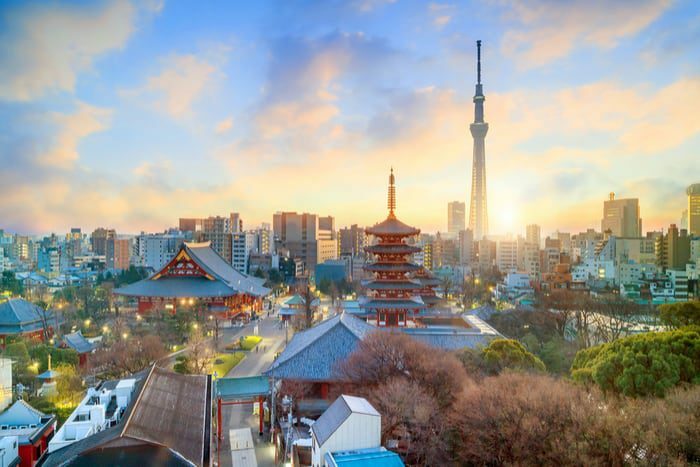 For now, one Japanese internet provider is offering 2Gbps speeds — twice the pace of Google Fiber — for about $50 a month. That makes it the world’s fastest commercially available internet service. Moreover, Japan offers many areas of public wifi that make accessing your needed services and getting download/uploads done in your business very quick and painless. 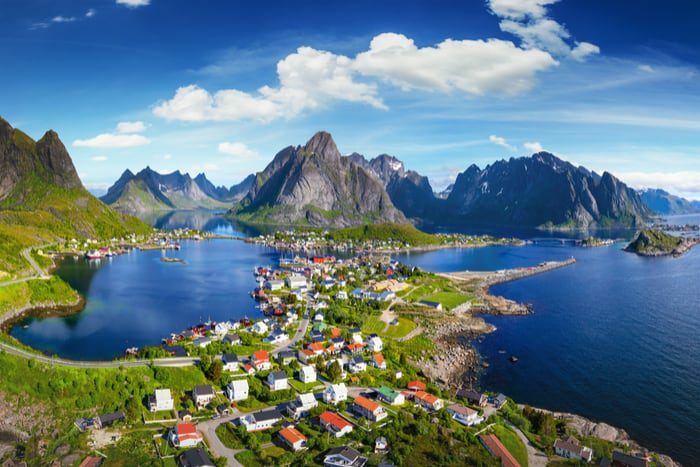 Third Scandinavian country on the list of fast internet is also rated as the happiest country on earth two years in a row by The UN World Happiness Report. Denmark is the last European country on our top 10 list coming in at the ninth country in the world for fastest internet. Denmark is consistently rated as one of the most developed and freest economies and is a member of the European Union (however not the euro-zone, as they use their own currency, the Danish krone). 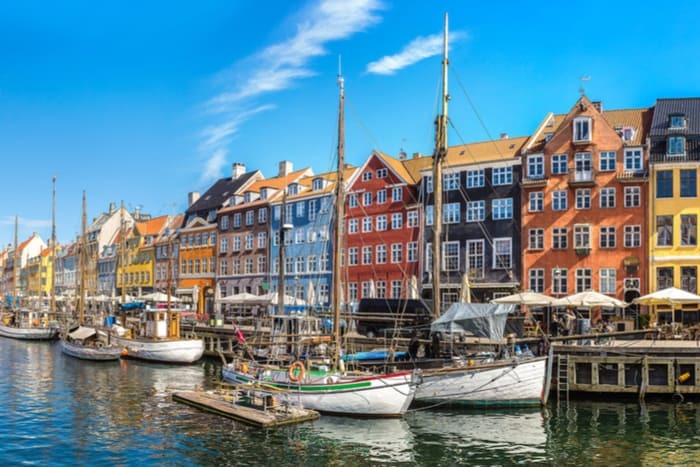 If you are looking to spend time in a highly advanced Scandinavian country with fast internet known for its national happiness, Denmark may be a great place for you to focus your travels. In terms of its passport freedom, Denmark is tied at #8 on the Nomad Passport Index. While notorious for its regulations, its extremely high tax rate, and its redistributive social framework, Denmark one of the best places for asset protection and is rated #1 for respect of rule of law and #2 for least corrupt countries. It is also a country that is attractive for copyright royalties if you are someone who needs a low-tax jurisdiction to protect your intellectual property. Unlike last year, the U.S. is in top 10 on the list, improving their internet connection speed and joining Europe and Asia as number 10. As a traveling entrepreneur, internet is one of the most important — if not the most important — utility that can allow you to get what you need to done. These countries offer the best of the best in terms of average speed and provide a framework for internet users that is reflective of today’s most advanced technology. While there still may be moments in your travels where you are stuck using that 15 Kb/s connection at your hotel or airport lounge, hopefully the state of the internet will continue to expand and you can focus your time on these countries with the fastest internet into the year 2017 and beyond. Have you had a positive (or negative) experience with internet speeds while traveling or living abroad? Share it in the comments below. I’m from HK and I didn’t realize this luxury til I traveled abroad! We take too many things for granted here. Yes, Hong Kong is a fantastic place to be based. Thanks for the comment. We are big fans of Hong Kong here. I’m curious about the other countries with similar speeds as compared to the US. I am becoming more and more despondent with the area that I am in and have considered moving into the middle of nowhere, however my gaming family would never survive without the internet. My next thought would be to move to a new country. Although the countries listed I am sure are all wonderful, I was looking for something a little more “islandish” like Costa Rica, Ecuador, New Zealand, etc. Any suggestions for other countries that can compare with the speeds of the USA? Frankly, internet speeds in many parts of the world are pretty fast. New Zealand would rival the US. Even developed parts of countries like Nicaragua, Belize, etc. would have usuable internet speeds; I’ve downloaded multiple TV shows per day even in hotels in Nicaragua, Cambodia, etc. These countries just have the fastest speeds. And Lithuanians have the fastest internet. Not by average. You can see one part of three “connection to wifi” markers and can easily download or load anything. Fact. There is absolutely no way you can say that our 100 Mbps is better than another country’s 1Gb. We pay more for our speed than they do for theirs. Numbers don’t lie, I don’t care how many devices you can stream Netflix on. You cannot look someone in the face (screen) and tell them 100>1000. When it comes down to it, they will still download a movie faster than you will, and your wallet will still be fucked.